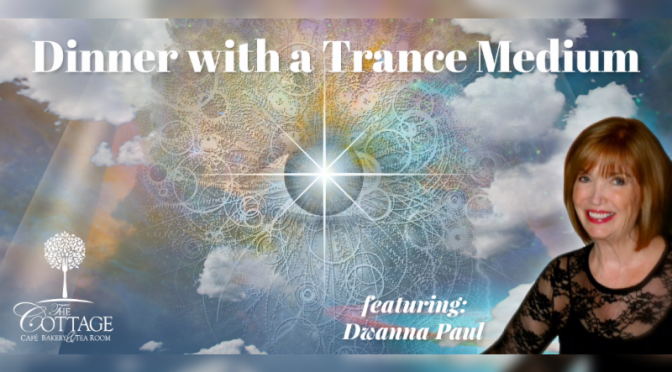 Please join us on Wednesday, April 10th and Wednesday, April the 24th from 5:00 p.m.- 9:00 p.m. for an evening with World Famous Trance Medium, Dwanna Paul. LIMITED To 25 people. Your ticket includes: a salad, choice of entree, a glass of wine* and the opportunity to experience Dwanna and the messages she receives from those on the other side. All attendees must register and pay in advance. No refunds. Registration does not include tip. Time: 5:00 to 9:00 p.m. Admission: $58.00 per person (Cash only, correct denomination, no personal checks). Click Here to RSVP Online.